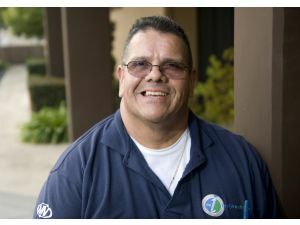 When lottery players finally win the jackpot, they are dazed with joy and their plans for the future include generous acts. Some of them stick to the plan and actually do the acts of kindness, others forget about them entirely and suddenly turn selfish. 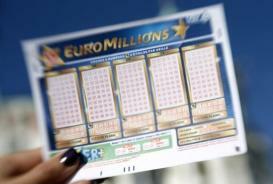 To some extent, it is easy to understand why many lottery winners are reluctant to answer any requests, because they are overwhelmed by them. 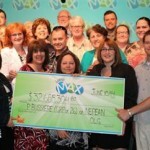 Luckily, a Lotto Max winner from Canada is still helping others regularly, while focusing on those in dire need of help. 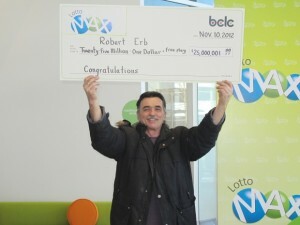 Bob Erb won $25 million in Lotto Max a few months ago and since then he traveled around Canada, occasionally helping those whom he felt were desperate. One of his visits to Saskatchewan led him to a small restaurant serving fries and burgers, where the millionaire stopped for a snack. 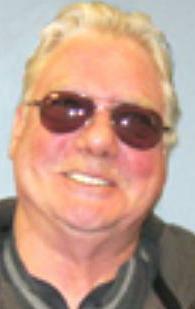 Him and his girlfriend talked to the owner and found out that their daughter was suffering from this incurable malady. The financial burden only added to the torment, and unfortunately for Bob Erb he knew all too well what it means to go through such ordeal. His own son succumbed to cancer a few years ago and that’s why he chose to return to the same diner a couple of days later and ask if he would pay by check. Instead of writing down the two digits payment corresponding to the burgers and fries, he wrote $10,000 and told the owner to keep the change. The money should help them take better care of their daughter and at least allow them to focus on the medical condition instead of the financial costs. Chris Luther, the owner of the restaurant told the media about this occurrence and the press discovered that this is just one of the many acts of kindness made by Bob Erb. 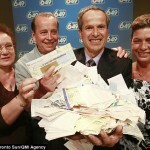 After winning the $25 million jackpot in Lotto Max, Bob Erb didn’t disclose a great deal about himself but he became a popular figure mostly due to his actions. Local media caught wind of his good deeds after the beneficiaries stepped forward to tell others about these generous acts. It is very likely that not all of these donations have surfaced, because the millionaire offered the money directly to the ones he considered worthy of assistance, without involving the media in any way. The staff of the Terrace, B.C. 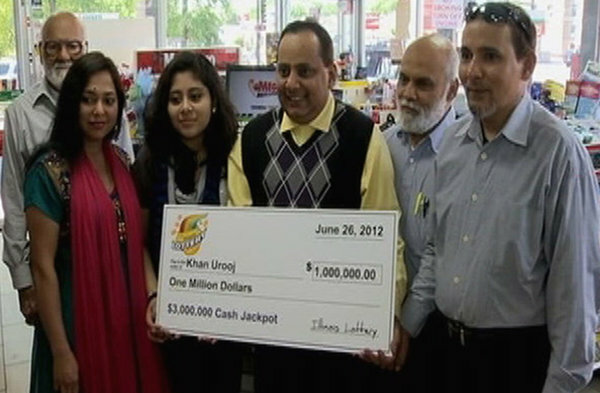 gas station where he bought the tickets were also generously rewarded, with each of them receiving an amount ranging between 10 and $20,000. This was his way of thanking them for being a part of the team that kept the place where he bought the winning ticket running. 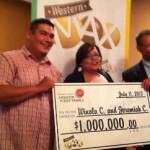 The Lotto Max millionaire also donated a significant amount to a local school, so that it could restore its floors. 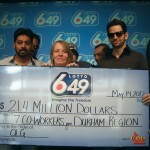 Check out the Millionaire Raffle winner plans to open music venue as well.